Both, the award winning FIRE Restaurant and The Conference & Events Venue in Dublin just received a shiny new website! With two distinct and fresh designs this was a welcome face lift for the distinguished brands. FIRE Restaurant and Lounge is located on Dawson street in the heart of Dublin. As an award winning restaurant it is the address to go to for the connoisseur or anyone looking for a special dinning experience! They also offer exclusive private dining rooms making it an attractive location for corporate meetings. And if you are interested finding out some of their gourmet secrets then check out their own recipes. FIRE is without a doubt among one of the top restaurants in Dublin. 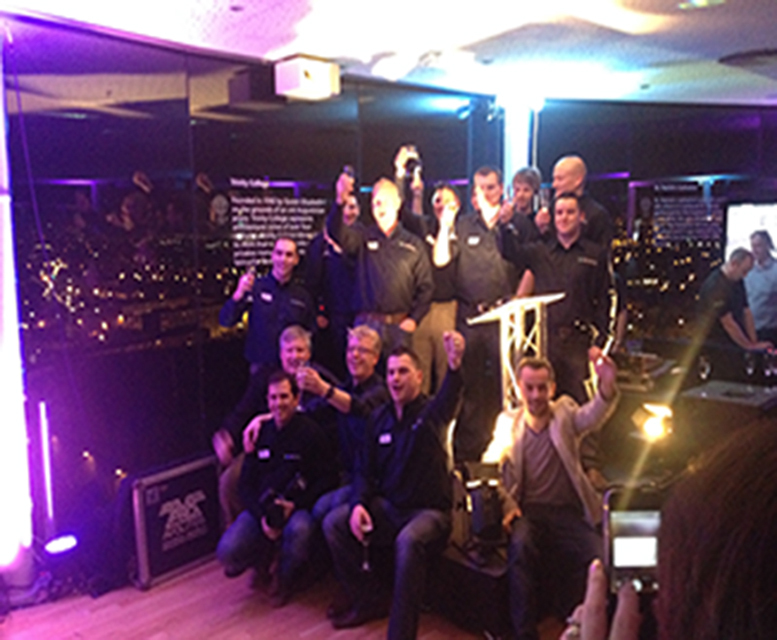 The Conference & Events Venue is an incredible space in the heart of Dublin City used for a diverse range of events. 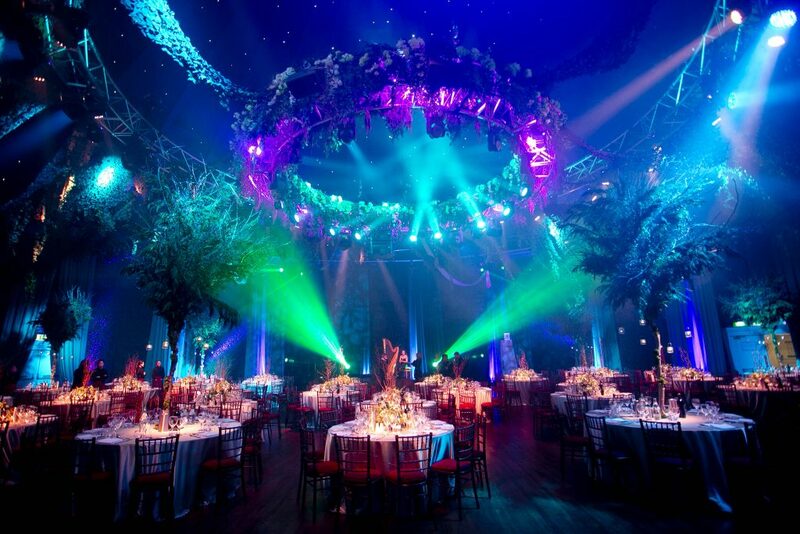 Everything from prestigious conferences, fashion shows, exhibitions, product launches to international receptions and large concerts are held there as it is so versatile. Originally build in 1821 the round room has been the scene for many important events in Irish history with many prominent figures visiting over the years. It has since been renovated and is now a stunning location with the latest in audio visual equipment making it truly an exceptional venue in Dublin. We were delighted to win a new contract recently in which we will be working with the Munster Agricultural Society on 2 exciting projects for The Cork Summer Show & The Cork Food Fest event which are taking place in June this year from the 13th to 15th inclusive. 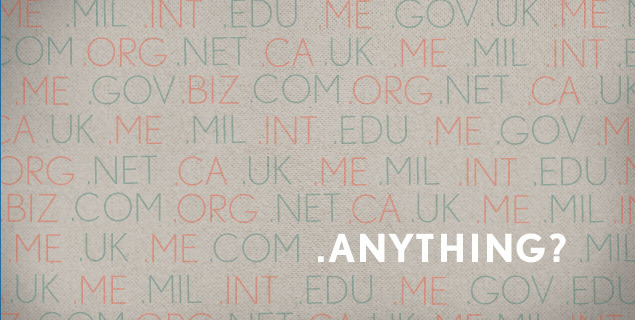 We have created 2 brilliant websites and both have been launched in the last week. Business’s in the west Cork area were left stranded for almost a month and suffered serious disruptions the their daily online business proceedings due to problems with Eircom’s telephone & broadband systems, The problem was mainly within the Skibbereen area and Eircom were slow to accept responsibility. Granite’s very own chief technical officer Ger O’Shea spent at least three weeks or more tackling the problem with Eircom and also helping some of granites many clients after receiving a constant stream of complaints from the Skibbereen area. Peter Coppinger & Daniel Mackey founded Digital Crew in 1998 and have made a living building websites, intranets and custom web-based solutions for clients in Cork, Ireland. At this point their company has a good reputation internationally and they sell website components online. They spent some time reviewing and using project management software and tried several different companies and found many were very expensive, overly complex, and some were lacking basic features, they wanted something intuitive that doesn’t take time to learn and maintain. Something everybody in the company can use – not just the project manager. So Peter and Dan set about creating their own Project Management software, their mission was simple – to make the world’s most easy-to-use, fastest and best Project Management System. Today Some 20,000 companies in 147 countries worldwide use TeamworkPM’s business software, which streamlines day-to-day operations. Around 90% of the customer base includes companies like eBay, Microsoft, Oxfam, Forbes, PayPal, Electronic Arts and NBC. The company says sales are set to exceed US$12m by the end of 2015. Trading under the Domain name of teamworkpm.net, Teamwork have been negotiating for the domain of “teamwork.com” for over 2 years, this is the first time that the domain teamwork.com will actually be used, having remained dormant since it was acquired by the original owner in 1999. 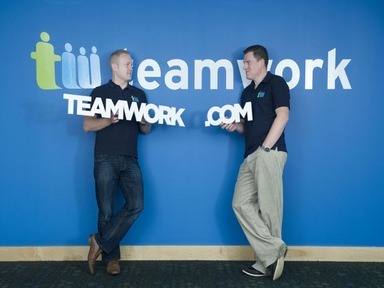 The purchase of Teamwork.com was one of the biggest domain sales worldwide last year and we believe it to be one of the most expensive ever purchased by an Irish company. Here at Granite Digital we are proud to have worked with Teamwork in the transition of their original company and clients; Digital Crew. And we wish them the very best for the future. As the New Year progresses most companies a busy rethinking their digital marketing strategies for the year, as marketers read through article and article trying to figure out the latest or biggest trends for 2014. We must still focus on the main objective, Advertising. There are three big trends to online advertising this year and we at granite have taken a detailed look into what we think will have the most effect and produce the most conversions for clients in 2014. Native advertising is the ability to tuck a brand message into the editorial experience in a seamless and responsible way, creating a story and target audience research is crucial for success. By working with influential and highly skilled individuals you can find, and sponsor content to promote your brand and product. Find influencers that lead not follow. There are thousands of bloggers and media personnel that don’t start the conversation, they follow it. By listening, following you gain a good understanding of what the current topics of targeted audiences are thus allowing to create your own opinion/spin on relevant subjects.You want to work with people that start the conversation not just people who amplify it. They will guide you towards connecting with their readers. Create an experience. It’s not just the content. It’s about creating a user experience to draw someone in, piece with video, music, HTML 5, parallax effects, are all features to create a story and experience for the user. By creating a piece with well crafted edits, stunning images, immersive video with text overlay and innovative design to create a magical digital experience. Suddenly it’s hard not to get pulled in and feel something – in a whole new way. Don’t compromise quality. Many companies clutter up space and ruin design with too much advertising thinking quantity creates higher conversion rates but this can be the complete opposite and can actually harm conversion rates, quality not quantity wins over in the Native advertising stakes and compromising quality is just as bad. Multimedia skills are what shine in this area a cross platform is essential to create that great user experience, Doesn’t your brand equity get damaged by sponsoring lame content? Be transparent – and have fun with it. 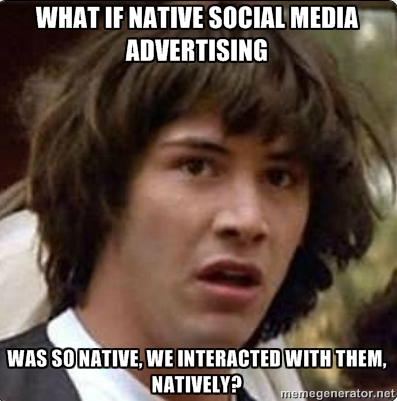 Work closely with you Native Ad content creator weather it be in-house or external. By fully understanding the goals quality will be produced and if it’s a great experience for the reader, everybody wins. Contextual Advertising is more of a direct root to the source so to say, there are different theories of exactly what contextual Advertising is some say Contextual advertising is designed to align with the media property in which it appears i.e. if you are browsing for cars then the user will see adverts for tyres, oil, crash repair garages content that is related to the page. Another theory is that contextual advertising refers to user behavioural targeting, if a user browsed for a product then went onto facebook that products advert will show up in the users facebook feed. If the user is in search mode then Contextual Advertising has a positive effect and will provide the user the Answer, solution or product that they are searching for. Ad words Re-marketing is an action taken by marketers to reintroduce a product or service that a user desired but didn’t take any action at the time. Re-marketing has been steadily growing over the last 12 months and is surprisingly cost effective when compared to other forms of marketing it relies heavily on cookies so be warned Whether you are already doing re-marketing or are looking to start, you need to ensure that you are compliant with the cookie law. When a user views a website or product the user is tracked by cookies as the user continues to browse adverts for the product will be directed to follow the user. This is a very good way to get undecided conversions but re-marketing must be tracked in its self, if your campaign has acquired a conversion that intended user must stop being tracked to avoid irritation with the brand and wasted promotion expenditure. All site visitors – Basic re-marketing to increase brand awareness, increase traffic all pages of a website. 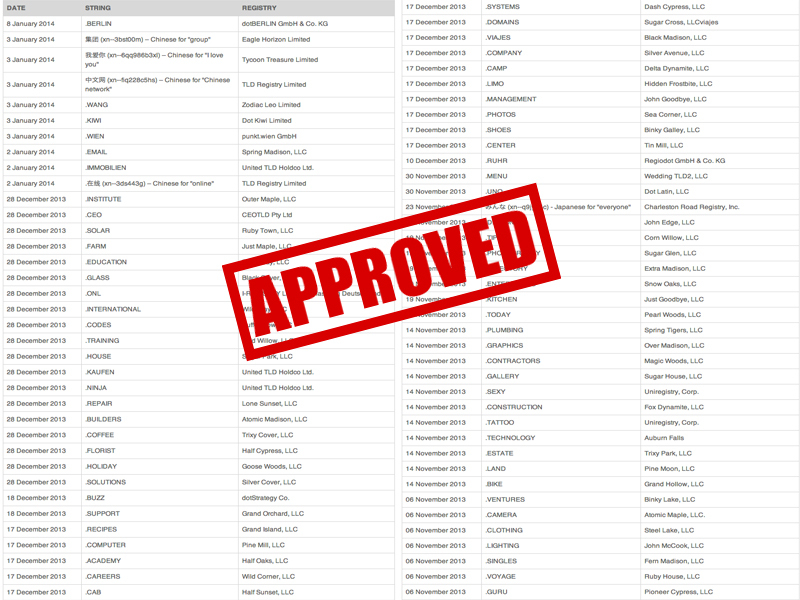 Members – Some websites have log in areas to find out more information on products or services, targeting re-marketing on these pages the user is guaranteed to view adverts of interest. Welcome to our final instalment of our extremely popular blog “Top Ten Gadgets for Tech Heads this Christmas” thank you to all our loyal followers and your feedback, sorry we couldn’t review all of your suggestions but find some more on our Facebook page and don’t forget to like us! 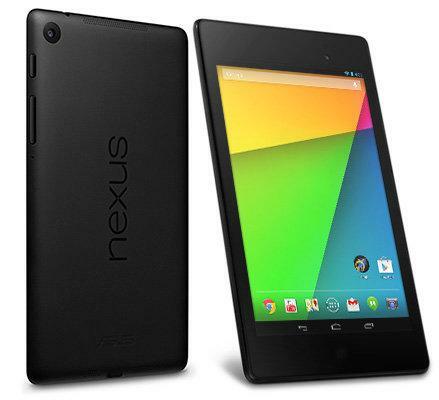 If you’re looking for a tablet this year then you really should check out Google’s new Nexus 7 . The new Nexus 7 looks very much like the old version it’s slimmer and lighter than the original just 8.7 mm and 290 g. and significantly easier to hold. 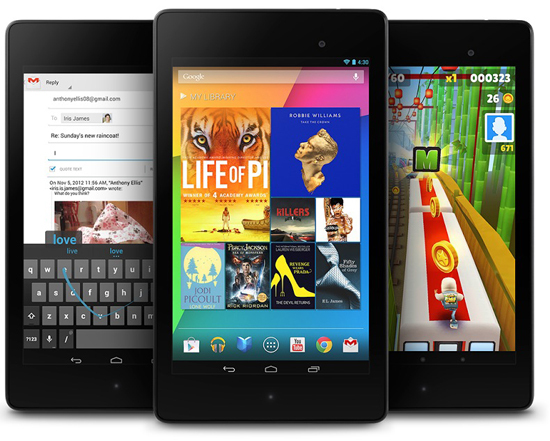 The Nexus 7 is equipped with a 1.5 GHz Snapdragon S4 Pro quad-core Krait processor and the memory has been doubled to 2 GB. The Nexus 7 comes well equipped with dual-band Wi-Fi, Bluetooth and now has two cameras rather than just one and is small enough that using the rear camera for taking photos and video is easy with generally crisp nice looking shots Video can be shot at up to 1080p resolution and looks good if you hold the Nexus 7 nice and steady. Apple have really out-done themselves with this product it is the smallest, lightest, and most powerful tablet out there. Its amazing size only 7.5mm depth smaller than most smart phones on the market. Apple have streamline everything possible on this tablet and still haven’t lost any of the essential features; in fact everything you find on the iPad 4 you will find on this device including the 9.7 inch screen a 2048-by-1536 resolution and over 3.1 million pixels, photos and videos pop with detail and text looks razor sharp. 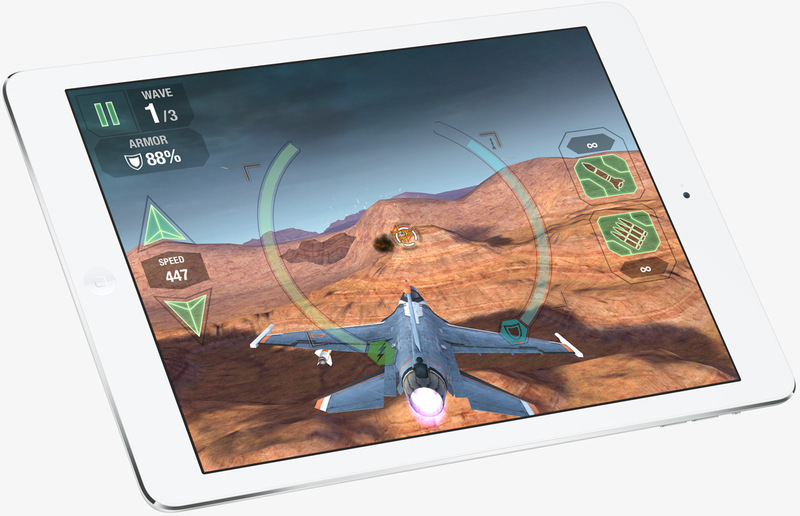 The new Apple-designed A7 chip brings 64-bit desktop-class architecture to iPad. That means up to twice the CPU speed and graphics performance for everything you do. And a fantastic battery life up to 10 hours. But all in all this is a great product as we mentioned in an earlier blog; the battle of the smart phones wasn’t as clear cut any-more with iPhone losing ground to its competitors but in the tablet wars iPad are leading the way. 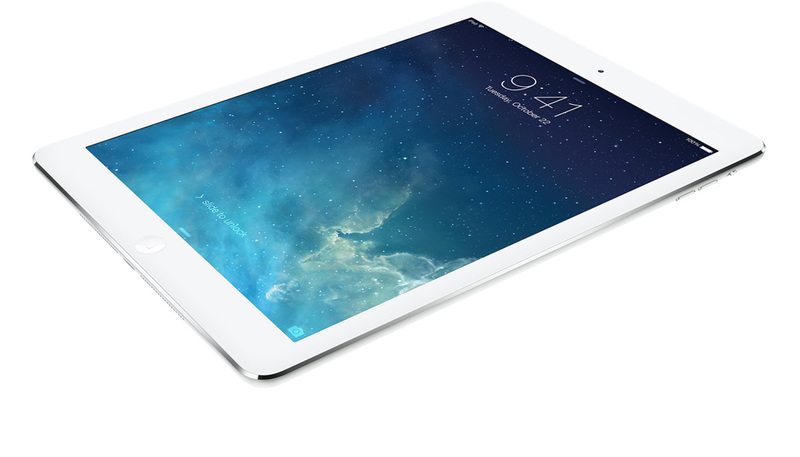 At a RRP of €487 the iPad is clearly the best tablet out there this year and that is why it tops our Top ten Gadgets for Christmas this year. Follow us on facebook for recent updates and events. Down to number 5 in our list of Top 10 Gadgets for Tech Heads this Christmas and this the one you’ve all been waiting for, Smart Phones. Probably one of the most commonly bought presents for the last few years. But there are so many choices of smart phones out there it can be hard to chose the right one, so in today’s Granite Digital blog we will review gadgets number 5, 4, and 3 respectively. Once a king always a king? In the first days of Smartphone’s iPhone rule was undisputed and there was no other smart phone. But iPhones have been In steady decline as of recent, and the apple innovation era has come and gone. 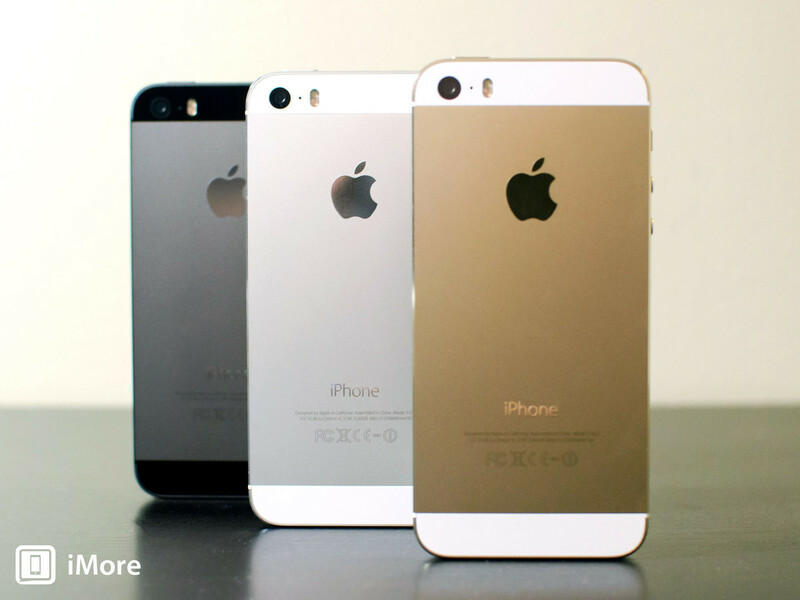 The iPhone is still a good product and are still bringing out some of the newest features to desperately try to cling on to the top spot, but competitors are gaining ground quickly the newest version of the iPhone, the iPhone 5s has many new features but is basically the old iPhone 5 that was only released less than a year ago. The newest features and the one Apple are really pushing is the Touch ID feature, a smart finger print recognition home button that can offer the security of safe purchasing and more. as-well as an improved camera and greater CPU power. But has apple killed itself by constantly releasing a new phone and then an “S” version less than a year later? Apple are basically hoodwinking people with newer features and living of their past-tense status without having to do any re-design of the concept. iPhone used to be king for apps but now almost every app can be released on any platform. Would they not be better off putting out a full powered phone with top specs, and not leave customers feeling they bought the newest phone and all of a sudden its not as good in less than a 12 month period? Brought up in the shadow of the iPhone the galaxy strives to knock iPhone of the top spot and recently they achieved this, but the competition is so fierce will its reign be a short lived one? 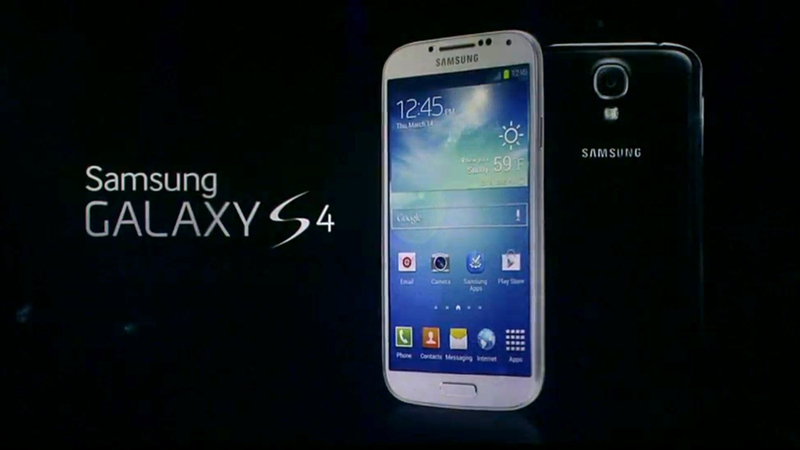 The Galaxy S4 boasts the largest screen for a Smartphone and has some amazing technology under the hood. Its full screen is clear, sharp, and a breath of fresh air and watching full HD video or intensive 3D gaming is a doddle, and browsing the Internet or multi-tasking a breeze. Scrolling through menus is quick and smooth, with the only very occasional stutter occurring when something is updating while you’re trying to open an app at the same time. It also unfortunately has a slightly inferior camera to others. But one of the Galaxy’s best features is its outstanding battery life. As with the Iphone it can host all types of Apps, Apple used to be the only App machine but now developers make Apps for all platforms this is no longer an issue. Before the era of the smart phone Nokia were kings among men and there greatest feature was their Camera technology the patented “Carl Zeiss” camera, was head and shoulders above any other phone camera out there, but their smart phone technology was sorely lacking and Nokia disappeared faster than you could say “révolution”. Nokia have been testing and trying to re-enter the smart phone market but with no avail. Until now! 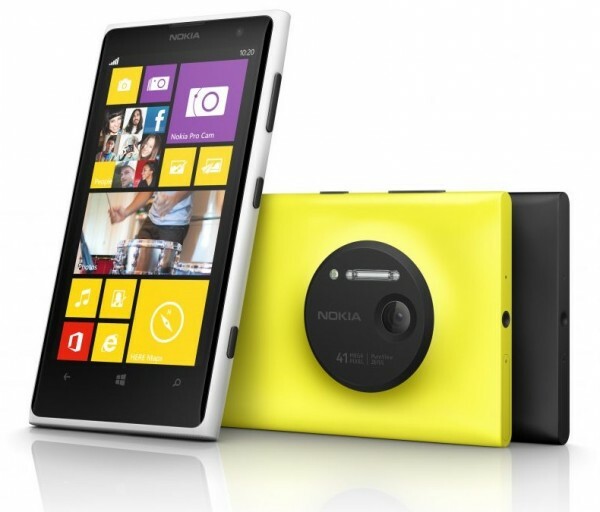 The New Windows smart phone has seen Nokia cleverly team up with windows and release a phone unique to the windows 8 design and functionality and corner the market in this niche. But it is still windows 8 and not the “greatest product” windows expected it to be, lacking in App ability and some of the biggest Apps such as Instagram, Vine, and Flipboard are missing (for now). Nokia are staying with the technology that made them the best all those years ago, the Camera is by far the most superior Photo and Video quality than any other phone on the market and its Video editing tools are great for any person into making movies or photography it has many amazing features to allow the user endless hours of experimenting with settings, effects, zoom, and contrasts to produce some outstanding images or film, and all finished off with a handy upload tool straight to Facebook or Youtube. The loud colour range available make this phone fun and popular with the youth of today. But have Nokia released this phone to soon? So after reviewing these phones it is hard to define which of them is the best, they all have locked onto a single feature that they think will make them the best seller. As all other features of phone calls, functionality and apps are generally the same. The Smart phone is now generic and to tell one from another is only done by brand and design none of them have anything different or revolutionary to separate them from one another so buying choice will generally come down to favored product, best price, or contract offers. The Tom Tom runner is a new GPS sports watch for runners or anyone who wants to get into fitness in the new year, After putting on a few Christmas pounds we all feel the need to change and set our new year’s resolutions to get into better shape and what better way the to start yourself off with jogging or running. The Tom Tom GPS watch is ideal for the professional down to the amateur runner with its numerous features to train track and set goals for yourself and it is the features of the gadget that really sells itself. Features include an accelerometer and sensors to work outdoors or on the treadmill, view distance, pace, average pace, stride length, personal music selection, calories burned, and lap times all in real time and it has Bluetooth to sync with addition accessories such as a heart rate monitor. But it really comes into its own when these features are explored and set correctly the watch almost becomes your personal trainer supplying feedback throughout your run. You can set yourself goals such as Distance over Time or calories burned and the Tom Tom will notify you via beep or vibrate not just at the end of your run but during at certain intervals, and a handy final percentage notification to give you that final push to reach your goal. It has a great lap monitor counting distance and time taken to complete each lap and a Zone feature that can track your pace warning you whether you are dropping off the pace or exerting yourself too early. But probably its best feature is the Ghost Race. This allows you to compare yourself with a previous run tracking your progress or lack off! And you can choose to give the ghost a head start to set yourself a greater challenge. The Tom Tom Runner also has a great user interaction feature with its Online website were a user can upload data via a “My Sports” web tool, which provides support and has export features to keep and build your own personal training plan. 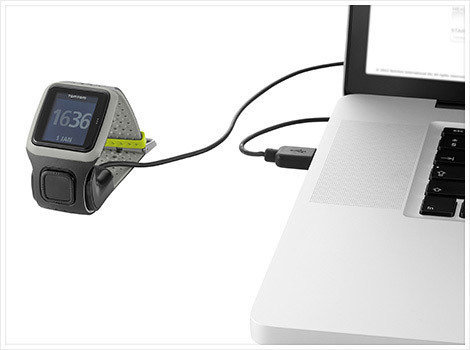 Many similar items have been known to have GPS problems but the Tom Tom Runner incorporates the same technology it uses for its satnavs, and moving will improve signal connection. And finally let’s not forget the Tom Tom Runner is a watch1 and has all the usual watch functionalities including and alarm to get you up for those early morning runs!! 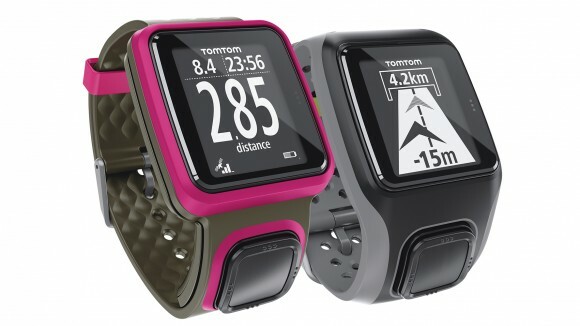 The Tom Tom Runner is available in Pink and Grey and at a R.R.P of €122.00 and is Number 9 of Granite Digitals Christmas Gift Ideas For the techie in your life.